Below is the how-to and what you'll need. 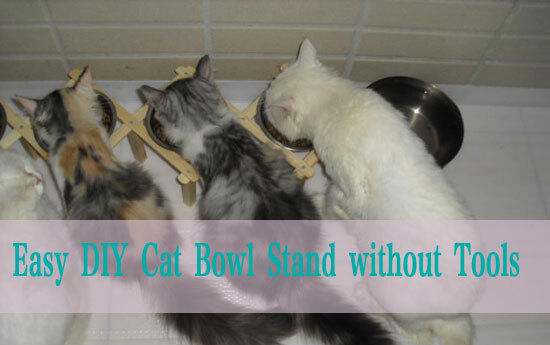 All you need are these two thing : wall rock for $15, and bowls for $2.54, then you got the cat bowl stand for your 4 cats. The wall rock is 2.9 x 4.4 x 13 inches, and the bowls is 6.5 inch ,it will be match , or you can shop the two things on local store. Foldaway cat bowl stand for muti cat, what do you think ?